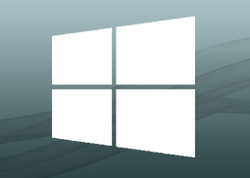 Full Microsoft Windows reinstall for your computer, laptop or netbook. Need windows reinstalling? Don’t have the disks? Not a problem, File Genie can have you up and running, as good as new, very quickly. File Genie will reinstall windows and fully update your system including service packs, other windows updates, drivers and any third party software and get your laptop or desktop computer back to you, usually within 48 hours. File Genie can even loan you a laptop while yours is being fixed. Please note the Windows OEM sticker will need to be readable. The sticker will look like this and can be found usually on the side of your desktop, on the underside of your laptop or sometimes attached to the documentation or disks that came with your PC.